Are your pallets fit for purpose? While much attention is given to expensive and often highly sophisticated material handling, storage and transport equipment, a supply chain’s efficiency and profitability can be jeopardised by something as simple as using the wrong pallets. Mark Nicholson takes a look at the issues involved, including the question of whether plastic should replace wood. A pallet’s quality and state of repair will affect its ability to support loads. If a pallet collapses, because it is no longer able to take the strain, the results may be disastrous – particularly if it happens at a great height. Damage to goods, racking and machinery can be extremely costly, and then of course there is the potential for serious injury to people. As with many investments, it makes good economic sense to buy good quality products that will last longer and maintain their strength. In the long term, more frequent replacement of inferior pallets will cost more. Pallets should be regularly inspected for damage and signs of weakness. The inspection should also identify loose or protruding pieces of wood which might become caught on the racking, creating further potential for load spillage. In an automated warehousing system, even a very small fault in the pallet can be sufficient to jam the machinery. This should be borne in mind when designing the system, as its tolerance levels should allow for a reasonable deviation from the perfection of a brand new pallet. 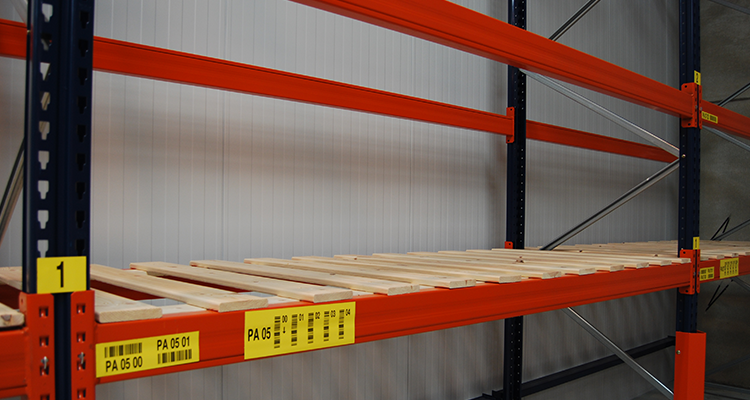 Reinforcement of racking with boards or metal bars can give extra support, but strong pallets are the safest option. Image courtesy of Crepa. Forklift and warehouse equipment specialist Crepa, which supplies products and advice for a variety of customers and operations in the Benelux countries, bases its racking capacity calculations on the assumption that all pallets will be of good quality. As a back-up, it can recommend a number of extra support solutions, including wooden boards and steel cross bars, which will reduce the impact of a weak pallet. A good way of ensuring consistent quality in your pallets is to rent them from a pallet pool operator rather than buying your own. Inspection, repair and replacement of pallets then becomes that company’s responsibility. If you choose a ‘one-way-trip’ service, the pool operator will also take over the timeconsuming administrative task of tracking and collecting them. 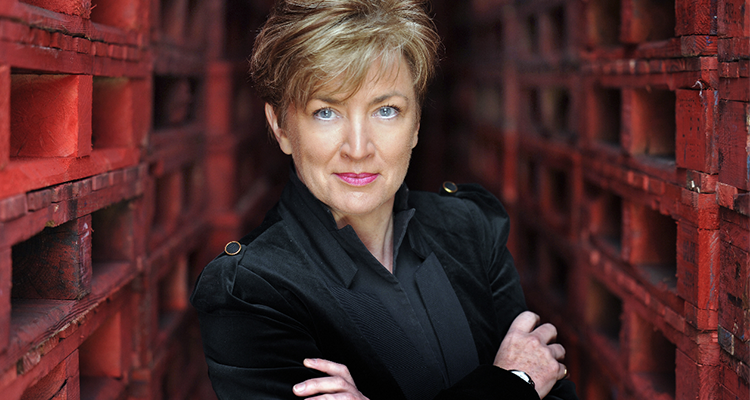 Jane Gorick, UK Managing Director LPR. Image courtesy of LPR. Something you will still need to consider, even if you opt for pooling, is what kind of pallets to use. A recently introduced EU Timber Regulation, aimed at preventing the sale of illegally harvested wood, has made many companies think about switching to plastic pallets. Users now need to know – and be able to prove – the sources of their wooden pallets and the timber from which they are made. Inevitably some people will see plastic as a way of totally avoiding the paperwork and the potential for penalties. There are many other arguments for and against plastic pallets, which are summarised below. LPR – La Palette Rouge – is Europe’s second-largest pallet pool operator. Operating throughout Benelux, France, Germany, Italy, Portugal, Scandinavia, Spain and the UK, LPR can provide plastic solutions where necessary but believes that timber pallets are still the best choice in most cases. In terms of strength and quality, a major claim in favour of plastic pallets is that their dimensions and load capacity remain 100% consistent with age. They are also free from nails, sharp edges and splinters that might damage hands or goods. Nevertherless, there are advantages to plastic pallets which may sway your choice in particular circumstances. The fact that they are impervious to moisture, weak acids and alkalis might be one. The ‘plasticity’ of their design is another, as it means that an endless variety of shapes can be produced to meet specific needs. They include, for example, lightweight designs to minimise air freight costs and nesting designs which conserve space during transit and storage of empty pallets. In their favour, plastic pallets have been shown to last ten years or more before needing to be recycled – which is about ten times the life of a wooden pallet. They can be made from recycled plastic and when their useful life is over they can be reground and used to produce other plastic products. LPR also points out that recycling of plastic pallets also consumes large amounts of energy and money, while re-use and recycling of timber is easy and cheap. Long ago there was some concern that harsh chemicals used to treat timber would make the wood unsafe to recycle but today’s heat treatment and modern preservatives have overcome that barrier. 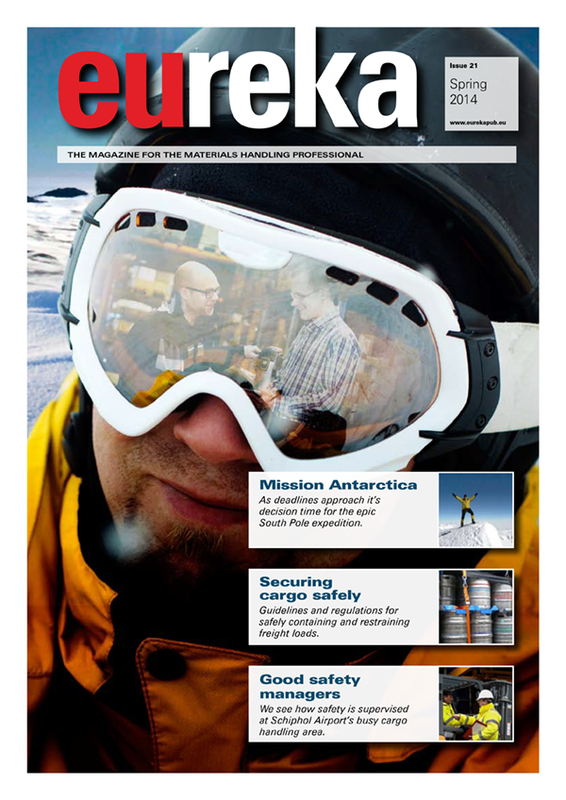 This article appeared in the 2014 Spring edition of eureka magazine.